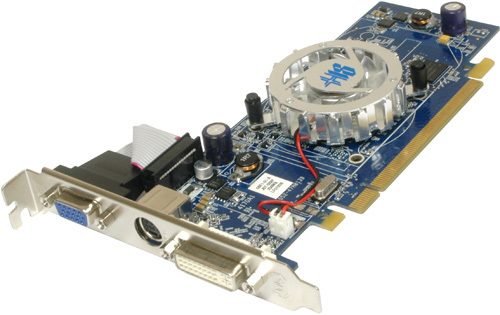 HIS Radeon™ HD 2400 PRO combines advanced HD hardware video processing with quiet, energy efficient operation. Connection to 300 Watt or greater power supply is required. HIS Radeon™ HD 2400 PRO is a feature-rich upgrade from integrated graphics for an immersive experience with DirectX® 10 gaming and HD video. Connect to big-screen TVs with HDMI and built-in 5.1 surround sound audio to enjoy Blu-ray™ and HD DVD movies. ATI Catalyst™ graphics configuration software is designed for quick setup and stable operation with Windows Vista™. HIS Radeon™ HD 2400 PRO combines advanced HD video processing with cool, quiet and energy efficient operation that will delight a home theater enthusiast. ATI Avivo™ HD technology provides hardware based H.264/VC-1 decoding of Blu-ray™ and HD DVD movies and built-in 5.1 surround audio designed for an easy HDMI connection to big-screen TVs. 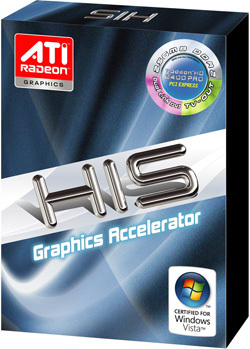 HIS Radeon™ HD 2400 PRO delivers a dramatic high-definition gaming experience with Windows Vista™ at up to twice the performance of integrated graphics. Enhance your game play and experience sharper images, more textures, and the improved lighting effects that create lifelike interactivity and immersive realism enabled by DirectX® 10 support.